What to Do and Where to Stay in North Iceland | Bungalo | Book now! North Iceland is a spectacular region, with magnificent landscapes, dramatic features, abundant wildlife and a thriving culture. Travellers to this incredible part of the country seeking tranquillity, adventure or a mixture of both will find no shortage of things to do and see, and thankfully, there are a wealth of excellent accommodation options close to all the main attractions. 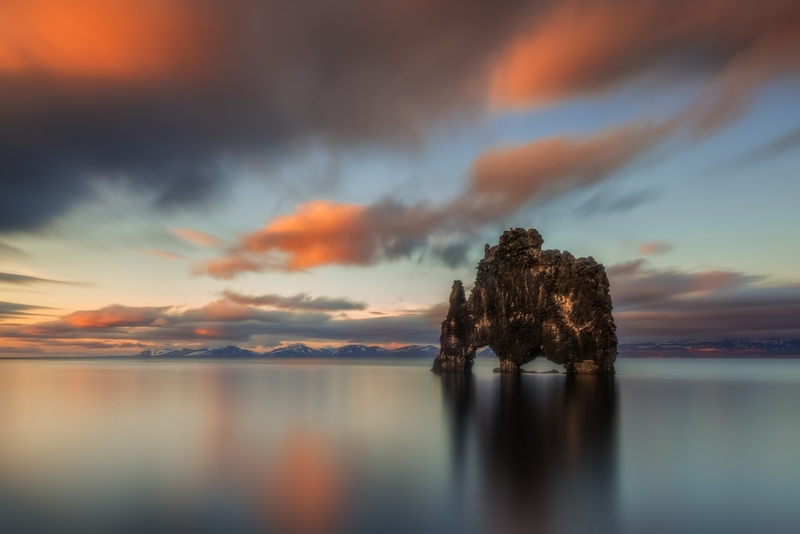 In spite of its distance from Reykjavík, North Iceland is still one of the most popular and beloved parts of the country, with features that appeal to all kinds of traveller. Those seeking hot springs can unwind in the Nature Baths; birdwatchers will marvel over the life at Lake Mývatn; hikers can scale mighty craters and cross vast lava fields; and the adventurous will find a wealth of adrenaline pumping activities such as rafting, dog-sledding and snowmobiling. The region even boasts features that have international gravitas; Dettifoss waterfall, for example, is the most powerful waterfall in Europe, while the town of Húsavík is famed as the continent’s best whale-watching location. Those hoping to mix some culture in with their sightseeing will find no shortage of it in ‘the Capital of the North’, Akureyri, and will be pleased to discover that many of the natural attractions are interwoven with fascinating history and folklore. Whether coming to North Iceland in the months of the Midnight Sun, or the winter when the Aurora Borealis lights the night sky, there are many things to do in North Iceland, and some incredible options for accommodation across the whole region. Families, couples, groups of friends and solo travellers will find no shortage of options, regardless of budget. Read ahead, therefore, for a guide on what to do and where to stay in North Iceland for a holiday that is tailored perfectly to you and your group. The first part of the north you will come to when taking the Ring Road from Reykjavík is the Vatnsnes Peninsula. When considering what to do in this part of North Iceland, two words should immediately come to mind: seal-watching! The Vatnsnes Peninsula is a marvellous hub for these charismatic animals, where they splash in the shallows and snooze on the shores and many islets. Anyone with an interest in wildlife should seek out the coastal farms of Valbarð and Illugarstaðir, where the largest colonies hang out. Both locations have parking facilities and the latter even has binoculars on site. Because of the abundance of these charming creatures in this part of Iceland, the Icelandic Seal Centre was established in the peninsula’s largest town, Hvammstangi. Other than serving as a research centre dedicated to studying and conserving the country’s seal populations, it is a fascinating museum where you can learn about the biology of seals, and well as their contributions to Iceland’s history in terms of survival and folklore. Aside from the Icelandic Seal Centre, Hvammstangi is a charming settlement that boasts incredible views over the fjord of Miðfjörður. It also contains amenities such as a gas station, shop and restaurant. Though the Vatnsnes Peninsula is most famous for its wildlife, there are many other reasons that guests chose to stay in this region. The area boasts spectacular scenery, both along its coast and inland towards the mountains; tranquil countryside with abandoned buildings being reclaimed by nature; and some fascinating geological features. Most notable amongst these is the rock formation of Hvítserkur. Located on the east side of the peninsula, it rises over fifteen metres from shallow sea waters in such an unusual shape that many have likened it to an elephant; others insist it more closely resembles a dragon or a dinosaur drinking. In Icelandic folklore, however, Hvítserkur was said to be a troll, frozen to stone in the light of the morning sun. Regardless of its origin, this bizarre and beautiful landmark should be visited by any guest staying in the region, alongside its seal-watching beaches. Luckily, the Hvammstangi Cottages are located conveniently close to both. These cosy cabins are perfect for families or small groups of friends and are nestled in beautiful nature, remote enough that winter travellers will have a great opportunity to seek the Northern Lights. Blönduós is a commercial centre of North Iceland, overlooking the beautiful waters of Húnaflói Bay towards the flat-topped mountains of the Westfjords. Most guests who stay around the town are taking a slow-paced journey around the Ring Road of Iceland, though its appeal extends to those looking for a quiet part of the north which has easy access to a wide range of sites. Most of the activities you can partake in around Blönduós centre around animals. The lakes and rivers are some of the most fertile in the country, perfect for those who want to unwind on a peaceful fishing trip. The many farms and the dramatic surrounding nature make Blönduós a fantastic location for horse riding, and in both in its freshwater and the seas, there are a wealth of avian species for birdwatchers to admire. The settlement itself has two beautiful churches worth visiting, one for its architecture and the other for its history and art. The only textiles museum in the country can be found here, alongside a handicrafts museum, the fascinating Sea Ice Exhibition Centre, a small golf course and a pool. Blönduós is also the best settlement from which to access one of the north’s more wild and rural areas, the Skagafjörður region. Icelandic Horses, a breed renowned for their curiosity and intelligence, far outnumber people here, making it a perfect place to introduce yourself to them as you take a hike through some extraordinary nature. To position yourself comfortably between Blönduós and Skagafjörður, the Light Cape Cabin is a fantastic place to stay. It sits on a hill overlooking the tiny hamlet of Skagaströnd, and is a perfect place for marvelling over the Northern Lights throughout winter; in summer, meanwhile, the hiking opportunities in the surrounding area are endless. If you wish to stay far from any settlements, however, deep within the nature of North Iceland, the cabin of Brúnastaðir will meet your needs. Sleeping up to ten, the comfortable bungalow has a hot tub on site and a petting zoo with a range of Icelandic animals just a short walk away, making it perfect for families. While the Vatnsnes Peninsula and Skagafjörður attract many travellers due to their remoteness, most coming to North Iceland chose to stay relatively close to the capital of the region, Akureyri. This is not just because it is the centre of the region’s service and tourism industries, but because it is a thriving cultural hot spot, with magnificent surrounding nature and no end of things to do. The city houses the world’s northernmost botanical garden; museums on everything from motorcycles to toys, aviation to arctic living, art to industry; incredible feats of architecture in its church and concert hall; and a beautiful marina with many whale-watching ships ready to set out throughout summer. In winter, however, the town is known to avid skiers as having the best slopes in the country. 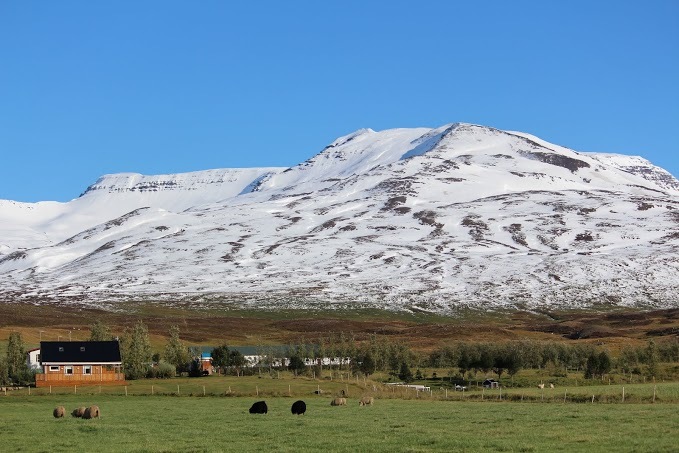 Hlíðarfjall mountain is located just ten minutes drive from away, open from December to April, and perfect for people of all different skill levels. Those who want to make the most of both Akureyri and these slopes, while still staying in accommodation immersed in nature, will find the perfect bungalow in Hrímland. Located directly between the two locations, it boasts unmatched views over the spectacular fjord of Eyjafjörður and its gargantuan surrounding mountains. To make looking out for the auroras during a winter stay that much more comfortable, it is complete with a hot tub. Of course, it is easy to stay accessible to Akureyri in lodgings even further from the tourist hustle and bustle. The cabin of Bakkakot is a fantastic option; though it is only twenty minutes north of the town, its rustic, log-cabin appearance and its location nestled in a beautiful woodland give it a tranquil air of isolated beauty. Just a short walk away from here is the traditional fishing village of Hjalteyri, where guests can marvel over the ocean and mountain views, get a taste of local culture, and bathe in a geothermal hot tub. For the more unconventional traveller, looking to experience Iceland from a different perspective than the usual guest, it is possible to stay on Hrísey Island, within Eyjafjorður fjord, by taking a ferry from Akureyri. This island has a history that stretches back to the beginning of Iceland’s settlement and is a haven for birdwatchers, as all forty resident species are protected from harm. Not only this, but it is a great place to seek out whales and dolphins from the shore. Júlíusarhús is a two-storey building on the island for up to eight people, located within the island’s tiny settlement, and thus within easy walking distance of the local pool and surrounding nature. North of Akureyri—but within easy driving distance—is the beautiful and mysterious town of Siglufjörður. Connected to the outside world by mountain tunnels, this tiny, historic village is nestled within a fjord of the same name, surrounded by towering peaks and overlooking glistening seas. Siglufjörður’s Herring Era Museum is the town’s main attraction. It has international accolades for the story it tells of Iceland’s fisheries throughout history, from the era of Vikings in rowboats to industrialisation, with preserved ships and a wealth of artefacts. The town also has a popular chocolatier’s and brewery, as well as plenty of hiking paths that will take you far from any other traveller. Siglufjörður is increasingly known due to its role in the haunting Dark Iceland detective series by Ragnar Jonasson, where its isolation, vulnerability to the brutal forces of nature and close-knit community make it the perfect setting for the perfect murder. Another crime drama set in this small town is the television series Trapped by the Icelandic director Baltasar Kormákur but don’t worry both of these are complete fiction. Any with interest in this nation’s culture, as well as those with an appreciation for its spectacular scenery, should consider a visit to Siglufjörður when thinking about what to do in North Iceland, and there are plenty of accommodation options nearby that will allow you to do so at your leisure. 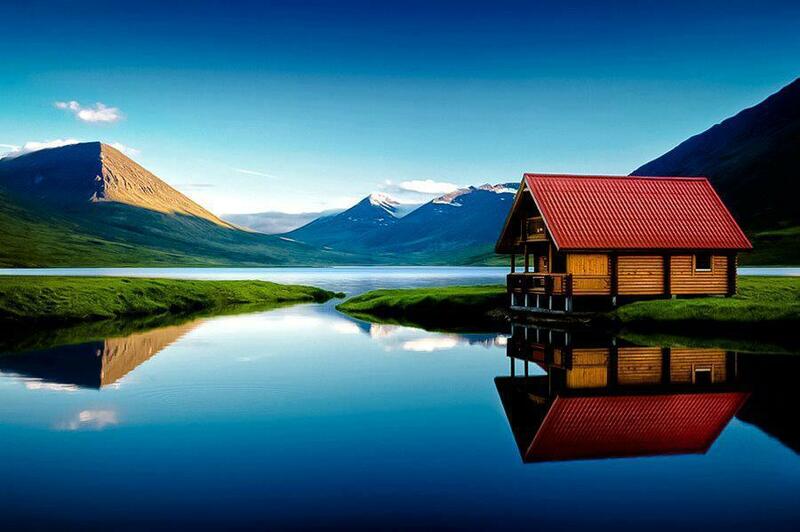 The grand log cabin of Brimnes, which boasts a hot tub on the veranda and two spacious floors, is located just a short drive south of Siglufjörður, overlooking a beautiful lake in the shadow of a mountain range; able to comfortably sleep seven, it is perfect for families and large groups. 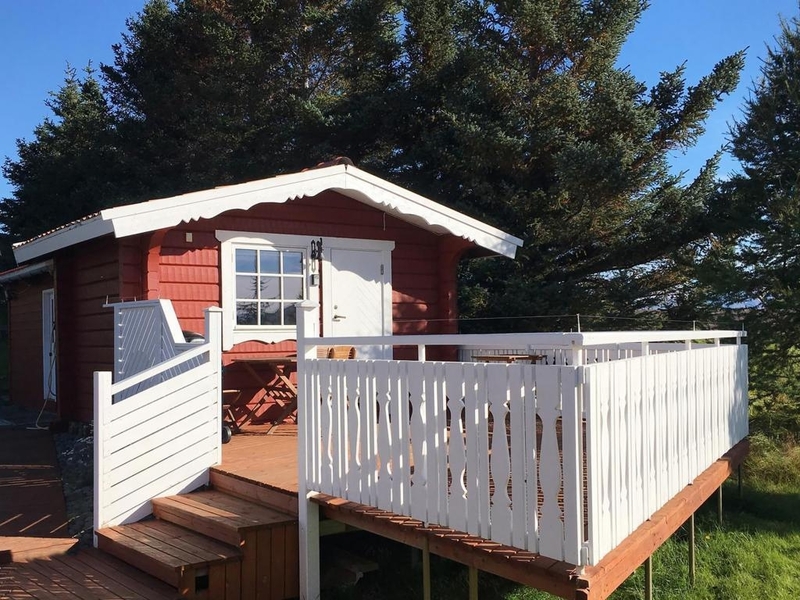 Solo travellers and couples, particularly honeymooners, may instead like to look a little further south, to the cabin of Litli by Dalvik, which boasts both a hot tub and a Finnish sauna. Though Dalvik is a small settlement, it has all the amenities a traveller could wish for; it is also close to a spectacular bird sanctuary and more thrilling ski slopes. The village offers a wealth of adventure activities, and even has a ‘beer spa’ for those seeking a unique form of rejuvenation. While the Vatnsnes Peninsula, Skagafjörður, Akureyri and Siglufjörður all have remarkable charm and a wealth to offer all travellers to North Iceland, most come seeking the sites of the Diamond Circle. These features, which include the magnificent lakes and geothermal areas of Mývatn, the thunderous waterfall of Dettifoss, the whale-watching town of Húsavík and the canyon of Ásbyrgi, can all be visited within a day, but are best enjoyed over several by those staying close by. 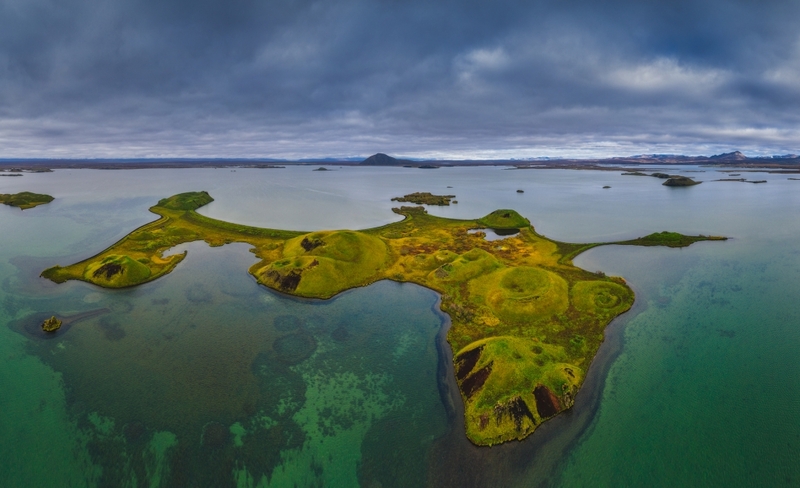 The Mývatn area has some of the country’s most picturesque landscapes. In summer, the beautiful lakes teem with dozens of species of bird, and the flora is verdant and in bloom, contrasting dramatically with the surrounding lava. In winter, it is a land of ice and snow, so stark that it is little wonder the area was used as a shooting location in Game of Thrones (—no pun intended). The cabins of Dvergahlíð are fantastically positioned on a hill overlooking these lakes, making them the perfect place to stay for those seeking to marvel over the beautiful Mývatn area beneath the midnight sun or Northern Lights. The bungalows are in easy walking distance from some fascinating geological sites, such as basalt pillars that tower from the water, pseudocraters lined in perfect formation, and the Dimmuborgir lava fortress, that holds the secret hot spring cave of Grjótagjá. These cabins also allow you to finish the day with the most relaxing thing you can do in the Mývatn area; bask in the serene Mývatn Nature Baths. Though Mývatn has a lot to offer a range of travellers, those with a passion for history and wildlife should not overlook accommodation closer to the village of Húsavík. Though the common knowledge states that Reykavík was the first place permanently settled in Iceland by Ingólfur Arnarson, many historians actually believe that the first true Icelanders made their homes here. While Húsavík’s history and culture make it a wonderful place to amble around, dine in and shop, it is best known for its whale-watching. The village is considered the best place in Europe to indulge in the activity, and considering Iceland is consistently ranked as one of the world’s best whale-watching countries, it is an essential stop for those eager to see the magnificent creatures of the deep. Throughout summer, humpback whales feed in the bountiful waters of Skálfjandi Bay, joined by a range of other creatures such as Atlantic puffins, white-beaked dolphins, and even orcas, blue whales and fin whales. Even animals usually only seen in arctic waters can find their way down here, including narwhals and belugas. There is no telling what you will see on a whale-watching tour from Húsavík, but considering operators almost unfailing boast 100% success rates on their trips in this season, you are sure it will be something spectacular. While all the accommodations mentioned around Akureyri and the Diamond Circle are within easy driving distance from Húsavík, those who want to make the most of the beautiful town and its opportunities should look no further than the VeturSetur log cabin, located just five minute’s drive away. Secluded in a wooded area, the spacious building offers both utility with its proximity to services and the freedom to access Iceland’s remote nature with ease. 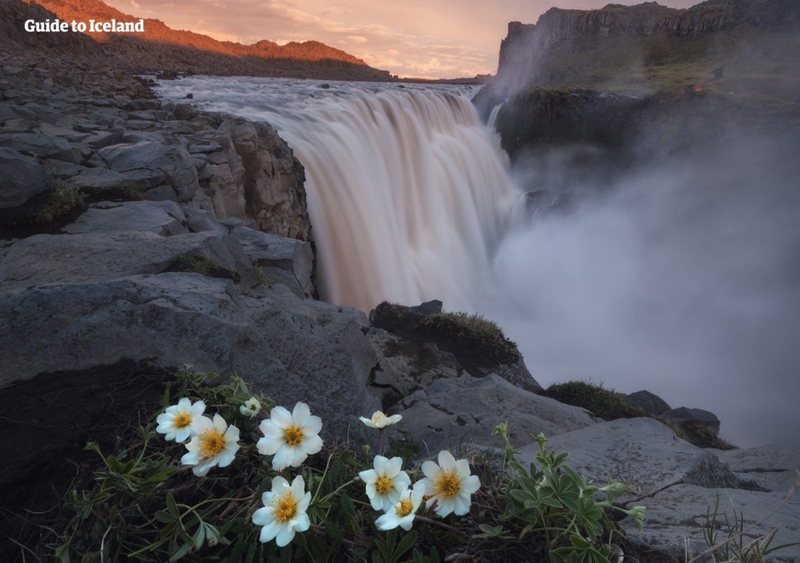 If you’re comfortable seeking a place even further from civilisation, however, deeper within the dramatic nature of North Iceland and closer to its most awe-inspiring natural sites, you may wish to seek accommodation near the final features of the Diamond Circle, Ásbyrgi canyon and Dettifoss waterfall. Ásbyrgi is so perfectly formed, so breathtaking and so vast that early Icelanders could only attribute its existence to divine intervention. It was said that it was created when one of the hoofs of the god Óðin’s horse crashed into the ground, leaving the imprint of a horseshoe 100 metres deep and over a kilometre wide. Today, the canyon is filled with verdant forest and can be hiked both from above and within, allowing for some marvellous views and memories for those who seek them. 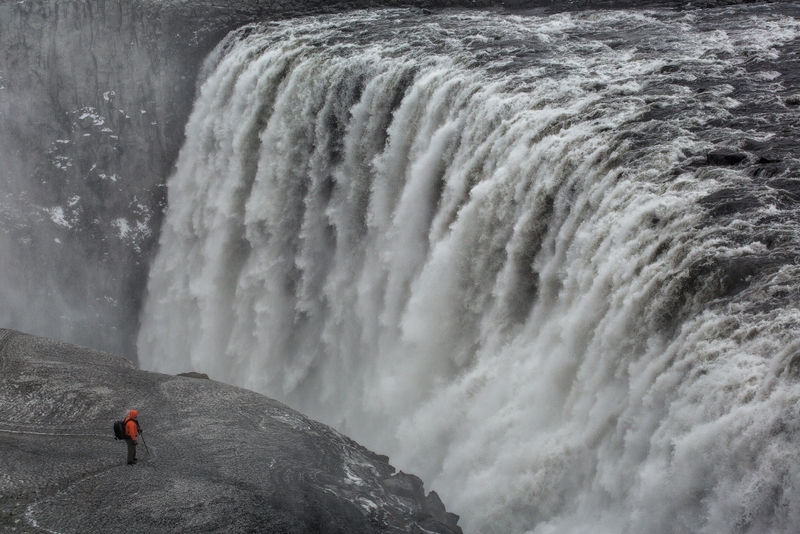 Dettifoss, meanwhile, is renowned for being the most powerful waterfall in Europe, but it must be experienced for its strength to be fully understood. It can be heard – and its spray can be felt – long before it can be seen, and the bottom half of the falls is forever obscured in mist due to the force of the awesome cascade. Though undoubtedly the star of the area, Dettifoss is not the only waterfall within the canyon of Jökulsárglúfur, a place defined by stark, jagged black rocks so ominous it was used as a setting in the film Prometheus. Within walking distance up and downriver are the falls of Selfoss and Hafragilsfoss, not quite as powerful as their cousin but just as still uniquely spectacular. All three of these falls are within the Vatnajökull National Park; if you have a four-wheel-drive and are seeking something adventurous and alternative to do in North Iceland in summer, you can take some highlands roads further into this magnificent area to witness untouched volcanic and glacial landscapes far from the crowds. Kaldibakki is just 15 minutes drive from Asbyri and 35 minutes from Dettifoss; it bears the forested beauty of the former, surrounded by trees and overlooking a wide, gently rushing river. It can sleep up to eight in three rooms and has a cosy, rustic design. It is complete with a veranda perfect for Northern Lights hunting or enjoying a drink beneath the Midnight Sun. Note that if you choose to stay at any of the cabins around Akureyri, the Diamond Circle, Siglufjörður and even slightly further afield for the ambitious, you will also be within easy driving of plenty of other attractions of North Iceland. Goðafoss, for example, is a magnificent waterfall with a history dating back to Iceland’s conversion to Christianity in 1000 AD, and it is conveniently located between Mývatn and Akureyri. Lesser known but quite as spectacular is Aldeyarfoss, just a short drive south. Those interested in the dramatic forces of Iceland’s nature will be able to reach Námaskarð Pass, where steam hisses and mud froths from a stark mountain plateau. The Tjornes Peninsula, meanwhile, is somewhat of a hidden gem, being a little-known but delightful spot for puffin-watching and fossil-hunting; it is just a short drive northeast of Húsavík. North Iceland is a region with endless opportunities for relaxing, sightseeing and adventure, with landscapes that beg to be explored and features that demand awe. With a range of cottages and cabins nestled in its beautiful reaches, a holiday here promises to be an unforgettable immersion into this fascinating island.